recommended for: Fans of Pan's Labyrinth (but like a friendlier, happier version of the aesthetic), The Star Touched Queen by Roshani Choksha, Splintered by A.G. Howard (seriously, they're similar in ways). I was lucky enough to get this from my lovely friend at Sourcebooks, and I'm so glad I did. I knew as soon as I read the blurb about brujas in Brooklyn that this wasn't going to be your typical European medieval urban fantasy. Not that I don't love unicorns, dragons, and Celtic-inspired magic, but there's also tons of those and so many cool magical and cultural traditions that demand to be great fantasy books. In this respect, Cordova has truly delivered. Her debut is a dark, Wonderland-esque adventure that brings together Mexican and Latinx traditions with spunky characters and magical badassery. Her writing is slangy and compulsively readable, if not particularly remarkable from a craft standpoint. It's also awesome to see both Latinx and LGBTQIA rep. It's cool to read a book where no one is white for once. Meet Alex, reluctant bruja. 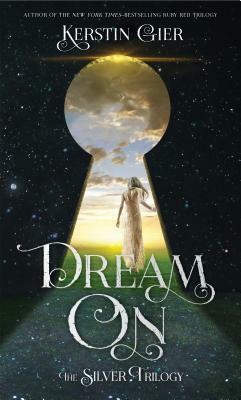 Her family is known for its powerful magic, but all Alex can see when she thinks of magic is a terrible accident years ago and the disappearance of her father. So, when it comes time for her Deathday celebration and her blessing from the ancestors, she tricks the system into taking her powers away. Or, that was the plan. Instead, her family is sucked into the dangerous between-world of Los Lagos. Are you feeling tingly yet? Throw in Nova, a mysterious boy who makes a deal with Alex to help her save her family, for a price. Alex herself is feisty and dead clever. She's kind of abrasive, a little crotchety, and sandwiched between her precocious younger sister and inhumanly beautiful older sister, she feels like a mismatched sock. All she craves is normalcy. I bought her motivations straight away, and loved that she was genuinely bitchy and selfish sometimes. It's so refreshing for characters to be flawed. Of course, her genuine love for her family and fierce independence leveled her out and made her more endearing than prickly. Then there's Nova, who's a little harder to wrap your head around. I loved his snark, though. The way he and Alex played off of each other, bickering and bantering, was really appealing. Rishi was a bit harder for me. I loved the idea of her, but she seemed to pop up out of nowhere. I didn't feel like the way she was talked about in the first part of the book really justified how super-close she and Alex seemed in the second half; it was like I was being told they were uber-besties. She also felt at times like a manicpixiedreamfriend. On the other hand, I loved to see the MCs friend playing such a huge role, and she was hysterically witty. Her snark towards Nova made me chuckle. Our bickery, bantery hero squad finds themselves very quickly trapped in Los Lagos, a magical in-between world like a cross between Wonderland and Pan's Labyrinth. That is, dark, wildly colorful, glittering and deceptive, with bizarre creatures and tricksy landscapes. Cordova's descriptions are lush and sharp, painting a clear picture of this wild world and lending an effortlessly eerie atmosphere--always with a spooky Halloweeny high mythology undertone. It was super cool to discover new myths and creatures from Hispanic and Latinx traditions, like the vicious bird-women and river spirits. In some ways, it reads like a modern fairy tale. This was mostly good, because it meant a lot of adventure, battling with evil beasties, tricking fairies, and learning to channel magic. Family was super important; even though they're locked up for most of the book, Alex's family is ever-present in her thoughts and memories, and her concern for them drives the plot as much as her personal journey to command her magic. In fact, her magical journey is familial as well; the magic is part of them all, and accepting it means accepting them too. On the other hand, it meant a lot of bouncing from one places to the next, a sort of episodic monster-of-the-moment that sometimes felt like The Odyssey (good) and sometimes felt repetitive (not so good). Thankfully, I was interested enough in Alex and her friends to stick with it. Things really picked up with the introduction of the Devourer, a super creepy-cool creature siphoning the magic of Los Lagos for her own twisted ends. Speaking of twists, Cordova throws in a few in the last third that elevate the plot from cool-but-predictable to truly commanding its own space in young adult fantasy. The way she handled the romance was really delightfully clever and refreshing, even though I didn't really feel the chemistry enough to be super invested. For me, this was about Alex, her family, and her magic. And Cordova brought those threads together at the end in an explosive way. The actual ending was way too abrupt (seriously, you kidding me with that!? ), but I guess that's one way of guaranteeing that I'll pick up the sequel. Oops. I swore this was going to be short. I guess it's one of those books that continues to improve on recollection. 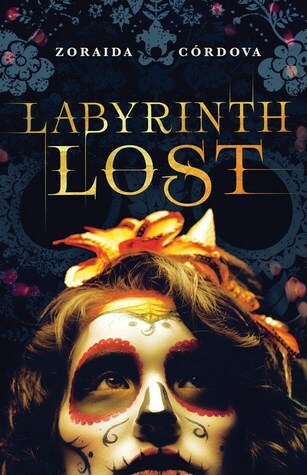 Labyrinth Lost is a spooky paranormal fantasy grounded in fairy tale tradition, updated with urban flair and Latinx roots. will i read this author again? Yep! I like her style. will i continue the series? Yes, I definitely want to learn more about Alex's magic and culture! Sounds interesting but I'm wary of books that seem to make snarky characters for the sake of snark. Though I was already interested because of the magical culture inside the book so I'll still buy it in the future. But hopefully this not another typical boy meets girl kind of story. Oh, I THINK I'LL LIKE THIS BOOK. I should be reading it soon! Alex sounds like a character I'll get along with very well. Also, this sentence --> "That is, dark, wildly colorful, glittering and deceptive, with bizarre creatures and tricksy landscapes." I think it's possible that I could fall in love with this book just because of that sort of vibe.